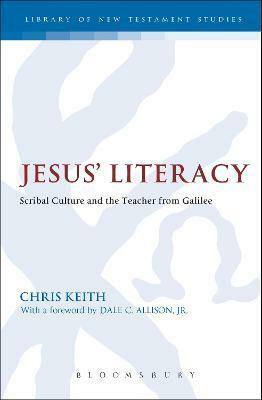 Jesus' Literacy: Education and the Teacher from Galilee provides the first book-length treatment of the literate status of the Historical Jesus Despite many scholars' assumptions that Jesus was an illiterate peasant or, conversely, even a Pharisee none have critically engaged the evidence to ask 'Could Jesus read or write?' Some studies have attempted to provide a direct answer to the question using the limited primary evidence that exists. However, these previous attempts have not been sufficiently sensitive to the literary environment of Second Temple Judaism, an area that has seen significant scholarly progression in the last ten to fifteen years. They have provided unnuanced classifications of Jesus as either 'literate' or 'illiterate' rather than observing that literacy at this time did not fall into such monolithic categories. An additional contribution of this work will is in the area of criteria of authenticity in Historical Jesus studies. Emphasizing plausibility and the later effects of the Historical Jesus Chris L. Keith argues that the most plausible explanation for why the early Church remembered Jesus simultaneously as a literate Jewish teacher and an illiterate Jewish teacher was that he was able to convince his contemporaries of both realities. Foreword Dale C. Allison, Jr.
Chris Keith is Professor of New Testament and Early Christianity and Director of the Centre for the Social-Scientific Study of the Bible at St. Mary's University College, Twickenham, UK. He is the author of The Pericope Adulterae, the Gospel of John, and the Literacy of Jesus, a winner of the 2010 John Templeton Award for Theological Promise, and Jesus' Literacy: Scribal Culture and the Teacher from Galilee. He is also the co-editor of Jesus among Friends and Enemies: A Historical and Literary Introduction to Jesus in the Gospels, and was recently named a 2012 Society of Biblical Literature Regional Scholar.